Fourth book with Samhain. Fourth editor. New editor. Male editor. And we’re back to skepticism. A man editing romance novels? Why would he want to? I have no idea why he does it, I just hope he keeps doing it, because Noah is one of the best editors I’ve had. Right after I got an introductory email from him, I submitted two projects to him at the same time, which I’m not supposed to do, but come on already, I’ve been writing forever. I need to get some stuff published! One of those projects he took (Nobody’s Fool) and one he turned down (Fantasy Man). Noah did something he didn’t have to do and which editors rarely do. He told me why he turned it down. He outlined what didn’t work for him. He could have asked me to revise and re-submit, but he didn’t. I wasn’t overly concerned. I had another project ready to go (What a Rich Woman Wants) which he took. 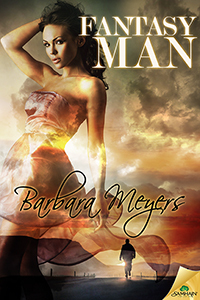 But meanwhile, back at the ranch, I read through his objections to Fantasy Man, decided he was right and revised the manuscript based on his suggestions. I asked if he wanted to see it again. Reluctantly, (my perception) he said he would look at the revised synopsis. Which I then had to revise. Based on that Noah offered me a contract. He didn’t read through the revised manuscript which is a good thing because if he had, I think a revise and re-submit letter would have headed my way instead of a contract. Neither Noah nor I realized how much was still wrong with this old, many times revised manuscript. Neither of us realized how much work lay ahead, either. I took my nine pages of notes from Noah and doggedly worked on the revision for two weeks straight, essentially rewriting a third of the book (which badly needed it). Second round edits went a little better and finally we were seeing the light at the end of the tunnel. We had a few cover skirmishes but I ended up with a cover I love. Meanwhile, I wanted to do interviews of people who had ferrets as pets because there are ferrets in Fantasy Man and surprise, surprise, Noah had recently acquired a ferret and agreed to be interviewed. Noah has since offered two more contracts, one on a sight unseen manuscript. I guess he has confidence in me. Finally, someone in the world of publishing does. For years I heard, all you have to do is find an editor who likes what you write. That is easier said than done. Or at least it was in my case. And then it was hard to find an editor who stuck as “my” editor. I don’t know what the future holds for Noah, but I know I will be sad if a time comes when he’s no longer my editor. 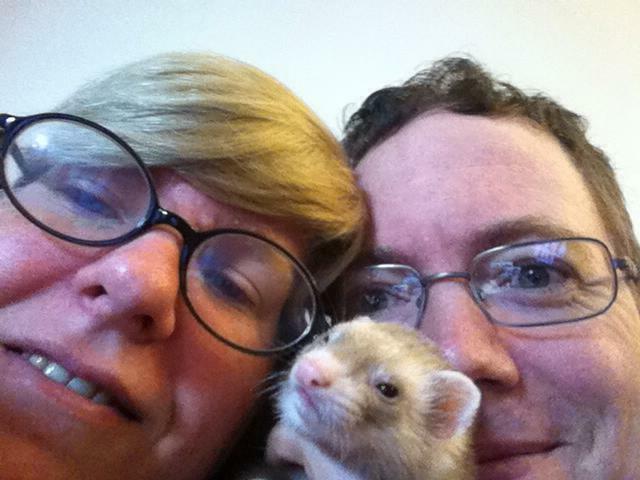 editors, ferrets, samhain publishing. Bookmark. That’s such a great tale. I was nervous when Noah came on board at the end of ASHES, but was soon reassured. He has to be the pickiest, most efficient, BEST editor I’ve had =) May it continue for both of us! Right, Sophie. We are really lucky to have him as an editor. Can’t say enough good things about him!